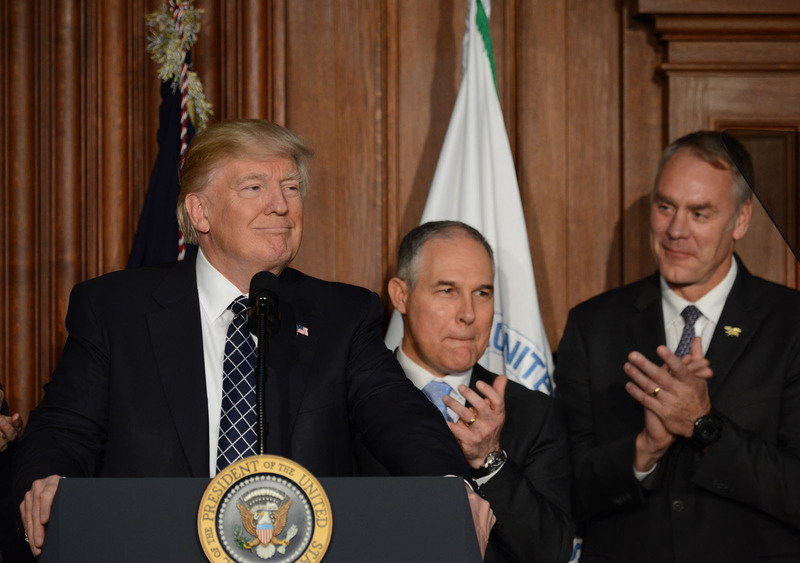 The Environmental Integrity Project (EIP) released a report earlier this month showing that, when compared to the last three presidents, the Trump administration has lagged behind on environmental regulation enforcement. During their first years in office, Presidents Bill Clinton, George W. Bush and Barack Obama all handed out more penalties and pursued more consent decrees than the current President during the same time period. Between January 20th, 2017 and January 20th, 2018, the administration initiated 48 consent decrees and brought in $30 million in penalties. That’s half the amount of penalties and 44 percent fewer civil cases than Trump’s predecessors. The report found that, during the Clinton administration’s first year, 73 decrees were lodged, resulting in $55 million in penalties. And during Bush’s incipient year, $50 million in penalties were gained from 112 consent decrees. Obama filed fewer civil cases (71) but took home $71 million in penalties – that’s over twice the amount of the Trump administration. The results of the report are complicated by the fact that the administration’s enforcement projects are heavily affected by the amount of civil cases commenced by the outgoing administration. With that in mind, according to Bloomberg, the numbers could indicate a steady decline starting in 2012. And to complicate matters further, the EPA’s own numbers – released a week before the EIP’s report – could point to a downturn that goes back as far as a decade. Nonetheless, the report discovered 15 notices that had been distributed in Midwestern states during the Obama administration and that have not received any attention from the current EPA. This lack of follow-up could affect the lives of 260,000 people who live in proximity to lead, sulfur dioxide and other dangerous chemicals. It would appear that the administration is making it easier and easier for companies to pollute with impunity. In the end, Congress must weigh in on the budget and infrastructure plan.